Offering wide range of outdoor furniture in latest & modern designs in rattan, wicker & pp. 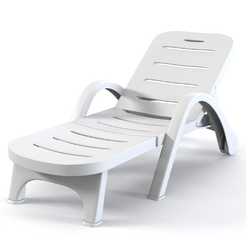 The wooden lounger offered by our company is a perfect blend of relaxation and pleasure.This wooden lounger is fit for gardens as well as beaches as they are made from water resistant wood and comes in foldable styles as well. Sprawling over an area of 20, 000 Sq.ft facing the lobby and adjoining the pool side, the Exotica Lawn is an apt place for any kind of parties and social gatherings. 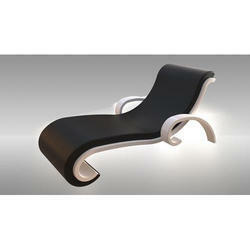 The quintessential Pool Lounger, but built to last decades with heavy use. Join us in our effort in saving the forests of the world one pool lounger at a time. Made out of reclaimed wood like all of our other products, you can now combat deforestation while catching up on your Vitamin D.
A huge range of Outdoor Wooden Bed is offered by us to customers in bulk. The offered Outdoor Wooden Bed is available in the market in huge range and customers can avail the offered products form us at reasonable rates. The offered Outdoor Wooden Bed is made up of best quality wood. We are offering Pool Side Loungers.